Mavis Willson holds a diploma in Business Administration. She spent nearly forty (40) years in the Grain Industry and works as Administrative Assistant with G3 Glenlea Elevator. In addition to working full time Mavis is committed to volunteering. She has been a member of the Rebekah’s for forty-five (45) years. She served on the Credit Union Board for ten (10) years. She was involved with Girl Guides for twenty (20) years as a leader, Area Commission and is currently on the Membership/Pastoral Care Committee at WPUC. Mavis was also the Past President of the Rebekah Assembly of Manitoba. Mavis brings a wealth of Business Administration experience related to performance management, financial, training processes, and facility operations. In her spare time she loves golf, ball and football. She enjoys reading and baking. Mavis is a Member at Large with the Board of Directors Golden Links Lodge. The Lodge is an important part of the IOOF and it’s because of this that Mavis is committed to ensuring the Lodge is successful for all residents and families. 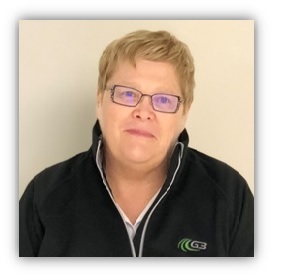 We are thankful for the expertise that Mavis brings to the operations of our facility and look forward to her continued commitment!